Good morning from Amsterdam! 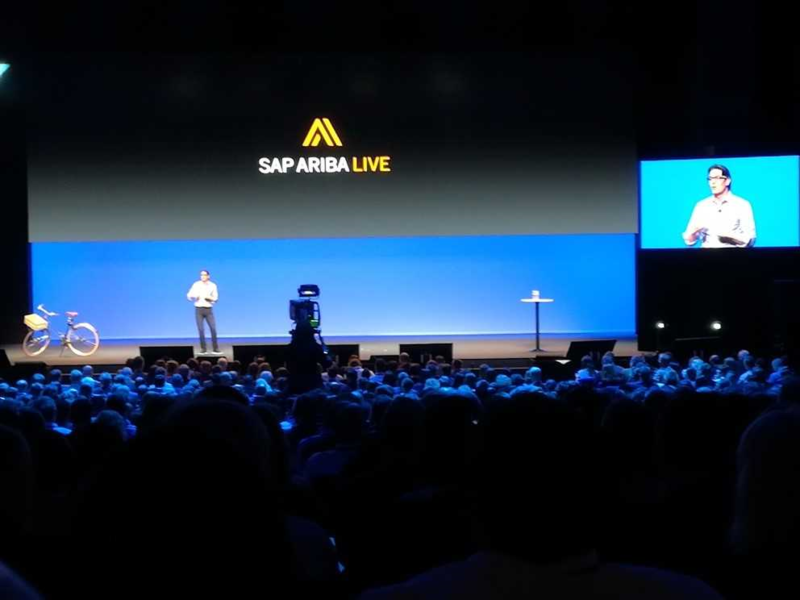 Copenhagen last week, Amsterdam this – but very much a flying visit, in at lunchtime yesterday, out at 7pm tonight, after a day and a half at the SAP Ariba Live event. Yesterday Barry Padgett, the new boss of Ariba gave an opening keynote. We really liked Alex Atzberger, the previous CEO, but Padgett did a very good job on a huge stage with what felt like a somewhat unresponsive audience. Riding a bicycle onto the stage was a nice recognition of the Dutch passion although the evil side of me longed to see him fall off, I confess! He spoke about the power of the network and about procurement with purpose - more on that to come. He didn't say much about SAP Ariba really, although he touched on the announcement yesterday of the Manufacturing Network, a "cloud-based platform that seamlessly connects companies with manufacturing service providers for collaborating on design through procurement execution". That looks interesting, so more to come, and I suspect there may be more product discussion today - the first session yesterday was supposed to be about "dreaming" rather than the boring technical stuff. However, Ashley Bates, CPO at Shell, did not really hit that visionary button to be honest. He came over well personally, and it is a huge organisation, to be sure, with a major procurement change programme. But "reducing the time we spend on low-value tasks so procurement can do more exciting and strategic stuff" is not a particularly new message these days. Jim Ridgwick, Global Head of Procurement Save the Children, was more inspiring and another very capable presenter - we will have more on his session another day. We do worry a little about the way he seemed to suggest that we should all pursue our personal and favourite "good causes" in our procurement jobs though - we'll come back to that philosophical debate too. We then attended two standing room only break-out sessions, each with 100 or so folk listening to first of all a session on spot buy and marketplaces - featuring our friends from Probrand. Then we had IBM talking about their procurement transformation, in a 40 minute session that could have been expanded to about 4 hours given the amount of content that was packed in. IBM are selling their own procurement advisory and SI services of course, so consider their messages in that light, but their thinking about procurement operations, strategy and delivery is way ahead of pretty much any other firm we know. 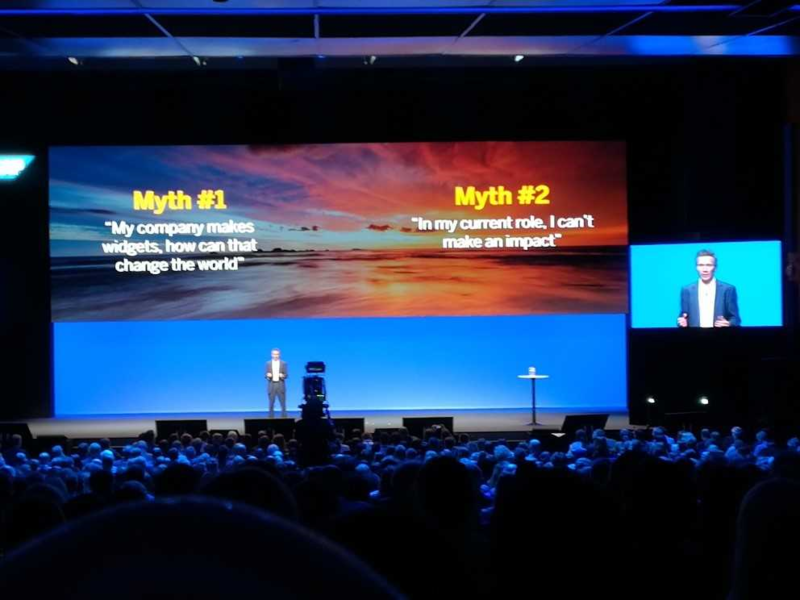 Generally, SAP Ariba really is putting serious effort into considering the link between their products, procurement, and those wider corporate social responsibility issues we touched on above. And indeed, today the highlight of the conference will undoubtedly be a panel discussion on “Procurement with a purpose” featuring Peter Smith ... oh, hang on a minute, I better go and practice! More on that to come, and we will be launching the paper we’ve written on that topic very soon. Joking aside, it is a really important issue – actually, a whole set of issues – and we’re looking forward both to the panel today and stimulating some discussion here too in coming weeks.